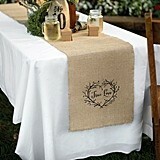 By the late 1300s, the tables of Earls and Kings were considered "set" appropriately provided that a linen table cloth covered the table. 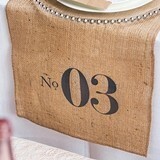 Gone were the days of rough-hewn, poorly flattened and sanded dinner tables. 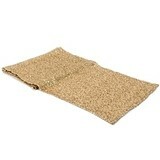 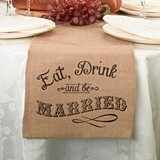 In an effort to preserve the dinner table, table cloths became the rage. 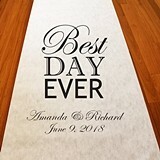 Unfortunately, in turn, guests would wipe their mouths and utensils on the table cloth itself, and while at first this was preferable to throwing things on the floor or elsewhere, soon the table cloth itself became an object of finery. 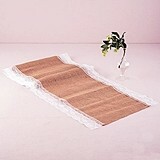 The final "solution" became the table runner, a less expensive piece of fabric that ran the length of the table to catch spills and unwanted meat scraps that could easily be collected up after the meal. 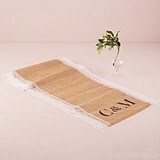 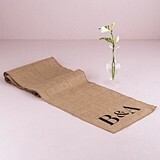 Luckily, we're no longer in the days of bad manners, and can now enjoy the table runner as an added touch of elegance to any affair. 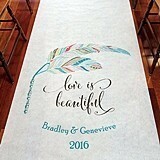 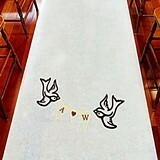 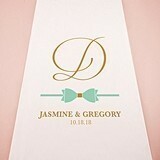 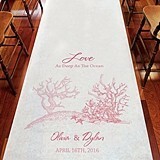 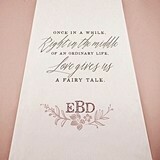 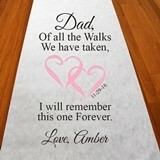 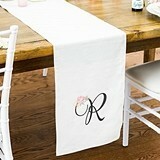 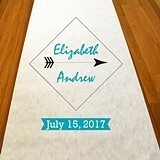 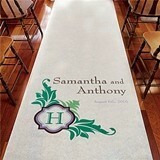 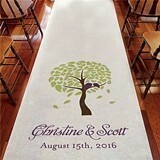 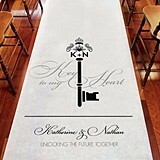 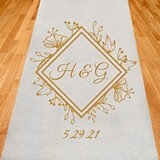 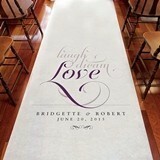 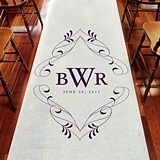 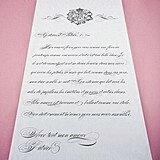 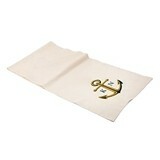 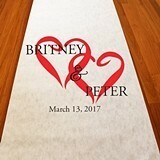 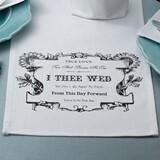 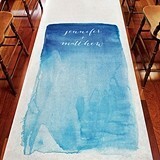 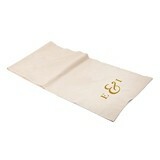 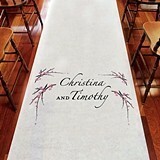 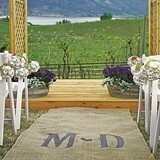 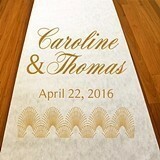 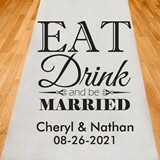 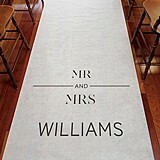 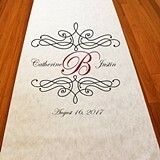 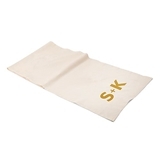 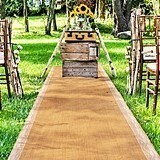 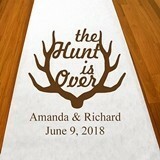 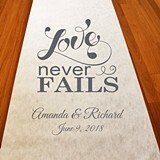 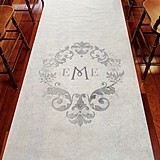 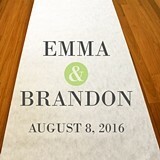 Our table runners are selected from the best fabrics to be worthy of your beautiful table. 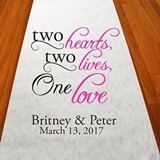 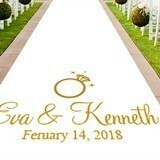 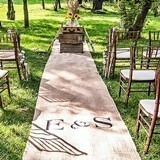 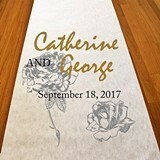 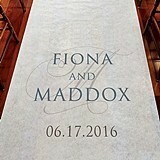 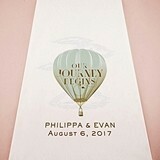 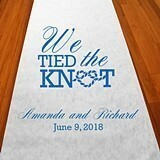 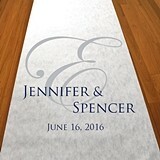 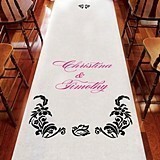 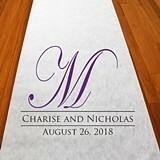 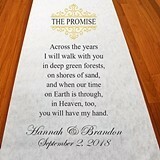 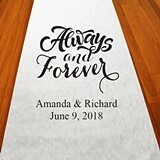 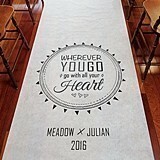 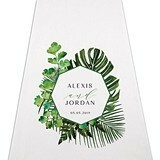 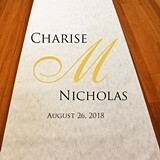 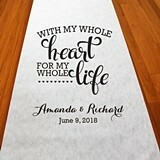 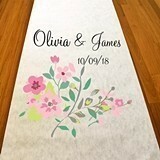 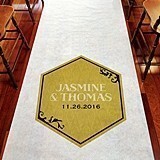 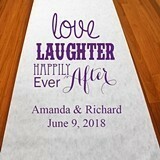 Equally the accoutrement of good taste, the procession cloth (now referred to as an aisle runner) evokes the emotion of pageantry and recognizes the import of the publicly-declared bond between husband and wife.